Cern scientists reporting from the Large Hadron Collider have discovered a new particle consistent with the Higgs boson. But what exactly is it? 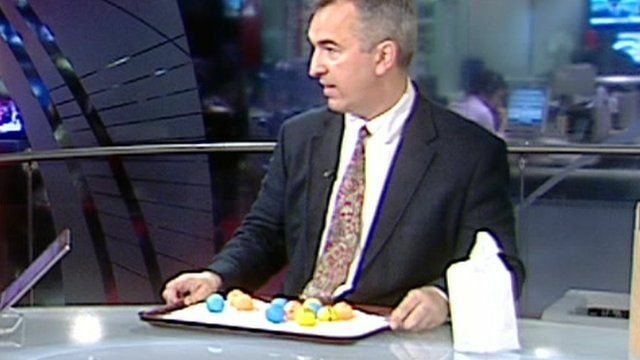 The BBC's Jonathan Amos attempted to explain Higgs boson using ping-pong balls, a bag of sugar and a tea tray. The demonstration is taken from an idea originally devised by Ian Sample of the Guardian. See also the classic analogy from UCL's David Miller, and one from Don Lincoln from Fermilab who uses water.